The course prepares the participants to learn and apply various testing methodologies employed by the industry through hands-on learning. The pedagogy focuses on application of concepts. Master trainers with vast Industry experience will train the students ably supported by technical assistants. The course also covers Java. Principles and psychology of testing. QC – Mapping test cases with release cycle, requirements, etc. Also available 8 weeks Fast track course. B.E./ B.Tech./ M.C.A., 2013 graduate with minimum 60% marks. Understanding of OOP & Java programming experience is desirable. 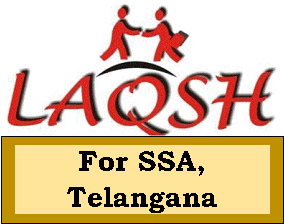 Laqsh will provide placement assistance to all candidates who fulfill the academic requirements including assignments, tests and 95% of attendance. Why is Software Testing done in organizations and why are testers needed? Delivery of global delivery capabilities, rapid maturity of tools and processes and new technologies such as virtualization, cloud computing and open source have played a positive role in increased adoption of offshore software testing service. Certainly, twenty years ago when most testing was manual and products simplistic testing was viewed very casually, but in today’s scenario testing stream is parallel to the development stream and challenging. What is the job prospect for a Software Tester in India? Testing accounts for 20-25% of total IT spend. 20-30% of development lifecycle is spent on testing. In 2011 there were around 63,000 employees in Software Testing Service in India. By 2020, Software testing related services is expected to quadruple and account for 17 percent of incremental IT services revenue growth. Catch up on the latest technology and be one of the first few to get on-board the new revolution. Amritpal Singh, IT-ITeS pass out from GSSS Khadur Sahib, Tarn Taran has been working as a salesman with Eureka Forbes for the past 2 months. He has a unique way of handling impatient customers. When the customer does not have the time and tries to shoo him off, he puts on a smile and says “No problem sir / ma’am, please take this brochure and read it if and when you have the time and let me know if I can be of any help”. This has softened a lot of customers who have ended up hearing him out. He gives his entire salary to his parents and feels proud that he can help out at home. Ranjit Singh is an IT-ITeS pass out from GSSS Khadur Sahib, Tarn Taran and works for Eureka Forbes for the past 2 months. He is employed as a salesman and has been putting his skills into action. He loves traveling to meet his clients and is glad about the experience he is gaining. He gives his salary to his family. When asked, where he sees himself in 2 – 3 years, he said he wants to study further while still working so that he can continue to support his family. Sunil Kumar works in Competent Synergies and is already 3 months into the job which he got after passing out of the IT – ITeS course from GSSS Dutarawali, Fazilka. He follows up with customers who have not recharged or have stopped using Airtel’s service and tries to solve the issues they faced and get them back to being an Airtel customer. He can converse in Hindi, Punjabi and English depending on the customers’ preference. He, says his entire lifestyle and outlook has changed, and he now knows how to conduct himself, talk to his customers, and handle stressful situations. He is also proficient in Excel and is eager to show his skills to his manager to take on higher assignments. Kuldeep works in Competent Synergies after he passed out of the IT – ITeS course from GSSS Dutarawali, Fazilka. When asked about how the job was, he said “Ekdum badiya!” He sells hello tunes to customers and can handle impatient and tough customers. He stays far from home and has rented a room with his friend. They eat lunch at the office canteen and have dinner at the gurudwara near their house. He gives full credit to the IT-ITeS course he took up in school and has persuaded his younger brother who studies in the same school to take up the vocational course so that he too can land a good job after passing out. Everything in life depends upon some word from some source. How we understand the words of our world and how we respond to them will often determine our failure or success in making life choices. Choose the right word. According to me, I am average in analytical skills. Training at Laqsh was really helpful in getting confidence in many areas. Another speciality of Laqsh is the individual attention given by the faculty. The faculty share their own experience. That really inspired me. I attended my first interview on the last day of the course & I got my first job! I am really thankful to Laqsh and the faculty. I am placed in Rapid Value It Services as a Software Tester. One to one interactions have helped me think logically and practically.Our faculty makes software testing concepts simpler by citing a lot of examples.I am encouraged to use them,to test the application on my own and rectify errors.Lab sessions have helped me to improve my practical knowledge. It was pleasure for having got trained with institute like Laqsh. Earlier I attend an interview with Ernst & Young and could not clear it as I lacked some skills. Laqsh helped me fill that skill gap and helped me imporve my Computer Skills, Testing Skills, build up my confidence level. I would always be thankful to Laqsh for providing me an opportunity to get placed in Wipro Technologies as a Software Engineer. 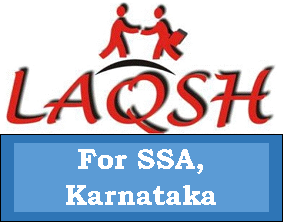 I joined Laqsh on August, 2012, as BLR 9 batch. But some unknown fear and insecurity took over me. Maybe it was the fear of being in a new place, among new people. I failed to open up myself. So, I started neglecting my classes. I was so stubborn, and so I decided to leave Laqsh. On the day when I came to Laqsh to present my application, to drop the course, something happened. The faculties of Laqsh took a hold of me, because somehow they knew that this act of mine was suicidal. They were not willing to give up on me, even when I myself had give up all hopes. That day was the most difficult day; I had a tug of war going on in my mind. Finally I gave in. I took their generous advice and decided to rejoin again. It was too late for me to join my previous batch, so I joined as the new BLR 11 batch, on October, 2012. That brought a drastic change in my life. Today after three and half months of my stay at Laqsh, I have become a more matured and confident person. I was like a lost sheep at first. Laqsh rescued me, and have so passionately nurtured and guided me to achieve to certain great heights that I had only imagined in my wildest dreams. I am so thankful to all the wonderful, most acknowledgeable faculty of Laqsh and they are the sole reason why I am in such a confident level now. And now I can’t be more grateful and thankful enough to each and every one of them for making me get through in my first ever job interview by Logfire as Software Tester. Having got trained in Laqsh I could get two best breaks for my career. 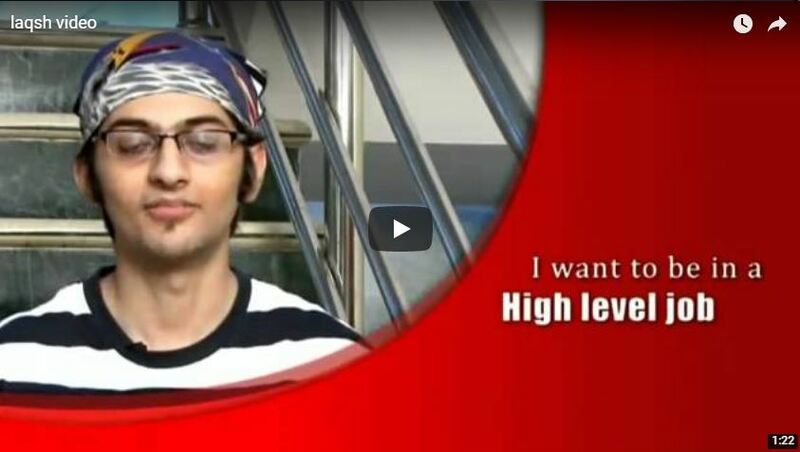 I got placed in Wipro Technologies & Accenture as well, of which I chose to join Accenture. I would always be thankful to the people of Laqsh for having guided me for building up my career. Hi I am Pradeep, I joined Laqsh to improve my presentation skills and speaking.I enjoyed the training.It has lot of activities and is fun learning.Thats the best part about LAQSH. Thank you Laqsh. "At LAQSH, I developed leadership qualities and I learned to take initiative." Training at Laqsh was really helpful in getting confidence in many areas. There are many institute that have similar kind of stuffs but the specialties about Laqsh is its individual attention and its curriculum. Apart from this what can I say about Technical training when person like Kanan Sir and Sushma Mam who has 20 yrs of experience with them are itself in this. Must say that if we have the problem Kanan sir has the solution. I really thank to Laqsh that they gave me the right path to live in this country, that's why right now I work for a software company in bangalore. Its my privilege to be talking about LAQSH as i have learnt many things from this institute. I'm glad to be part of the laqsh family. I joined this institute to learn about software testing. LAQSH has tought me so many things other then the subject in a short period of time. 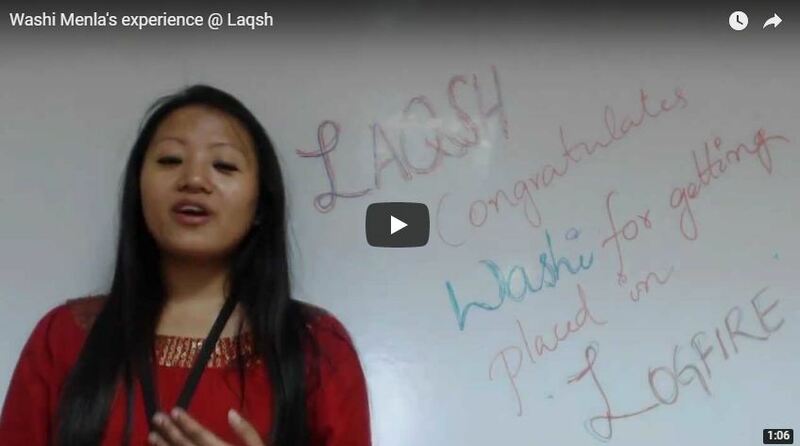 Laqsh has a good set up & I'm really thankful to laqsh and the faculty because they have helped me in every aspect, and now, I'm happily placed in WIPRO. "I was a very nervous person but now I am much more confident." The word LAQSH itself holds a special meaning in my heart. I'm glad to be a part of the LAQSH family. Before joining this institute for manual testing I had no idea about this field as I was from a commerce background. After coming to LAQSH I learnt many things other than the subjects; I got rid of stage fear, I am more confident, my communication skills have improved all of which is very important in this competitive world. 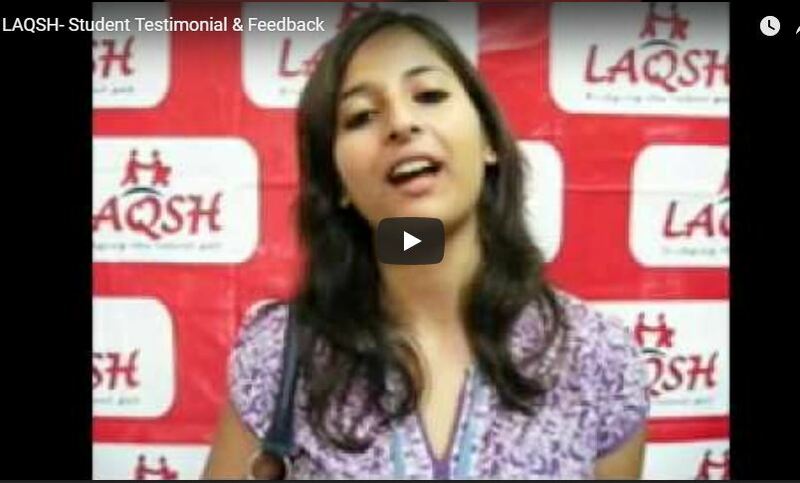 Laqsh has excellent facilities & very good faculty who help us in all aspects. With the help of all the faculties and our effort we are happily placed in WIPRO as software engineers. Last but not the least I would like to thank Laqsh for making my career. In Laqsh,I learnt so many things.Before coming to Laqsh. I dont have proper communication.I was worried about my communication and also my Analytical skills.But In Laqsh the faculties helped me a lot to develope communication,Analytical as well as Technical Skills.They conducte code-A-Thon for us in Java.And that was too useful to develope knowledge about Java. Laqsh have a beautiful, friendly atmosphere to study in. Laqsh have given me an opportunity to realize my strength. I would specially give thanks to the professors who have recognize my strengths n weakness. They have truly helped me improvise my technical, analytical skills.. The testing coarse that i attended was of great use to me.